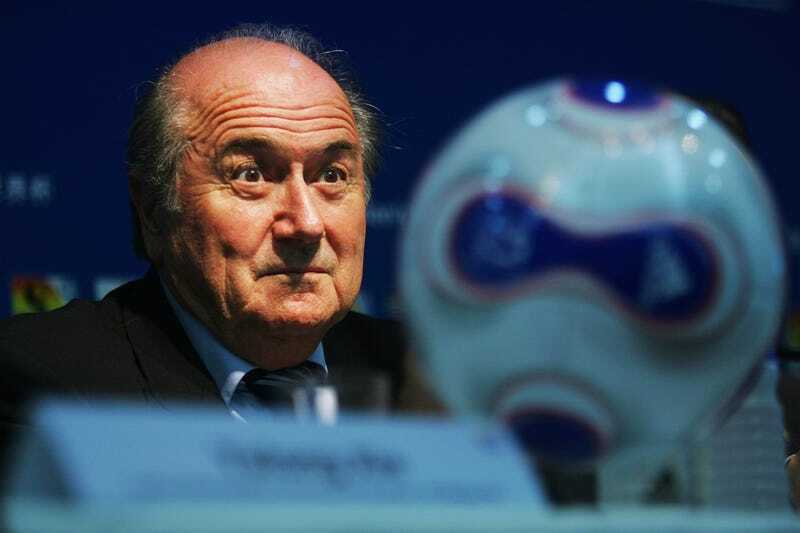 When we named Sepp Blatter one of the 10 worst men in sports earlier this month, we were being kind. Blatter's repugnance extends well beyond sports. He runs FIFA like a Swiss bank, hoovering up billions of dollars and disbursing them in ways that remain as mysterious as they sound dubious. And all the while he waves aloft his ginned-up credentials as one of the planet's great humanitarians. I have been following with sadness the news of the terrible tragedy in your country and I would like to express my deep sympathy to the people of New Zealand and the New Zealand football family," Blatter wrote in a letter he sent to New Zealand Football (NFF) President Frank Van Hattum and his Oceania Football Confederation (OFC) counterpart David Chung. "On behalf of FIFA, I wish to extend our moral support and to let you know that our thoughts are with the many victims, the injured and their families. Moral support is important, especially in FIFA's case. As Der Spiegel reports, FIFA only gives 0.7 percent of its revenue to social causes. A recent report by the Tribunal das Contas da Uinão (TCU, Brazil's Federal Accounting Authority) has indicated that many of Brazil's World Cup projects are being conducted with a gross lack of transparency, a lack of concrete planning, and exploding budgets. The main targets of the TCU report are Rio's Maracanã and Salvador's Novo Fonte Nova, stadium projects which have jumped into the billions. Too bad the Nobel Peace Prize selection process doesn't happen this way. Or does it?